Bank Guarantees, Standby Letters of Credit, Monetization & Non-Recourse Funding! We offer Non-Recourse Loan Agreements for the American Market. High LTV’s (80%) and fast delivery. Minimum amount Face Value: 10M US$. We provide BG’s & SBLC’s owned or leased, LC¨s DLC’s and MTN’s. We offer Non-Recourse Funding for these Markets. High LTV’s ( 80%) and fast delivery. Minimum amount Face Value: 10M US$, Euro€. All sorts of Bank Instruments available at favourable prices. 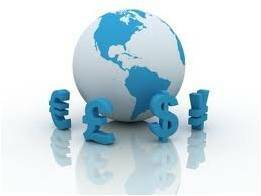 Trade Finance, very fast delivery and good quotations. We offer several PPP’s . Small Cap 400K, 1 to 99M and several Taylor made Programs, with blocked and un-blocked solutions starting with bullets and return 100% per month. 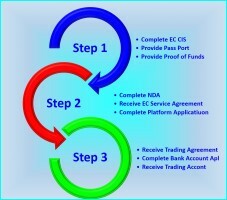 Go to our website and download the EC CIS for Bank Instruments, Monetization or Access to Trading Platforms. Here you will find information about all products and guidance to how to proceed. Complete the form and return to info@economic-consultants.com. We will answer any request within 24hrs. Lars Johan Myrtroen, has 40 years experience in international financing and runs his operations from London, England. He established M-broking in the early 80′s and running Stavanger Bank in the Eastern part of Norway. Euro Export Invest AS was established in Oslo in 1998 owning four IT and security companies, with KSD as the leading company holding offices throughout Europe and he has been participating in several start-ups in the US, Philippines, Norway and the UK, among others British Armouring Manufacturing Inc, and Birdstep Technology ASA (Public, Norway). Also major investor in “Norges Energi AS“. He has experience from the bio-metric industry, serving as chairman of BioPrint AS, Norway, and adviser to and Director in GenKey Inc, San Francisco. Acting today as Executive Chairman in EC Capital Management Ltd, trading as Economic Consultants. He enjoys golf and started Grenland Golf Club in Skien Norway in 1980 and served as a Board Member in the Norwegian Golf Association for 4 years. ‹ EC Press Release 1, 2017 Mr. Marek J. Halys joins Economic Consultants!